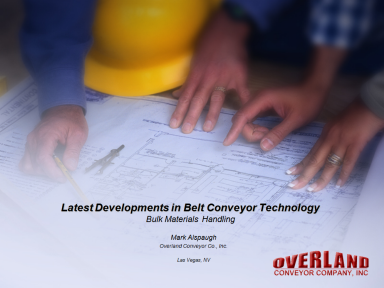 As President and co-founder of Overland Conveyor Co, Mr. Alspaugh has been involved in most all aspects of belt conveyor systems for 35 years (see Work History below). 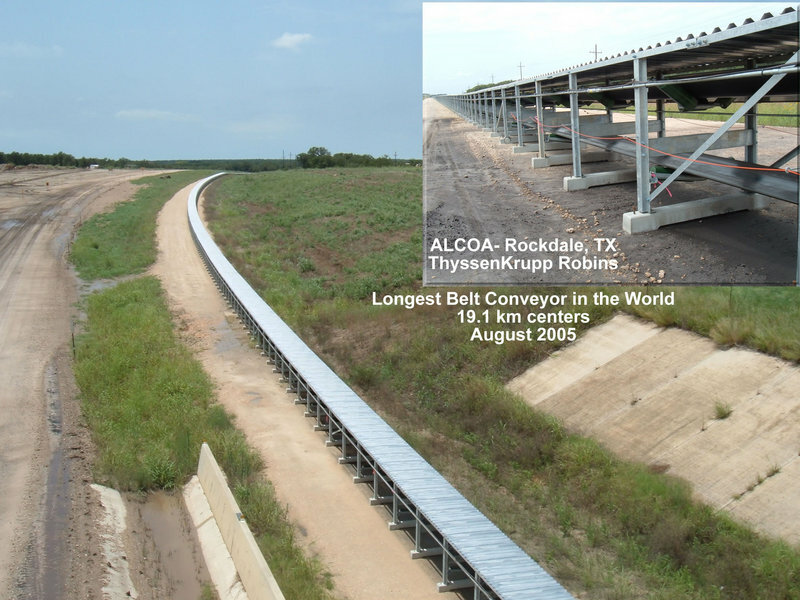 His experience in complex conveyor systems has allowed him to be involved in projects all over the world. Mr. Alspaugh has authored many technical publications (below). He is heavily involved in the North American Conveyor Equipment Manufacturers Association (CEMA) and OCC has recently developed the next generation of power equations for CEMA. He has been Editor of the "Bulk Material Handling by Belt Conveyor" series published by SME (Society of Mining Engineers) and Chairman and co-Chairman of various short courses for SME. His Professional Affiliations include SME, ASME, ASBSH, PRB Coal Group and Rubber Division, American Chemical Society. Mr. Alspaugh also conducts training workshops attended by approximately 150 engineers annually. These workshops deal with all aspects of conveyor design, operation and maintenance. 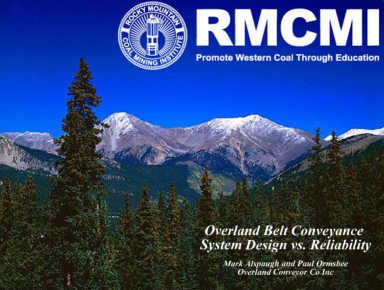 Responsible for the design, sale and installation of belt conveyor systems in the western USA (principally in underground coal mining). 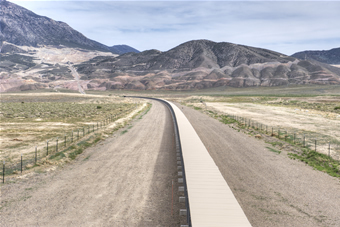 A sample project was documented at MinExop 2000 in Las Vega USA in "Twentymile Coal's Underground Conveyance System". Responsibilities included interfacing between conveyor designers and engineers and the Goodyear conveyor belt development engineers and production in order to insure the product being produced would be reliable in the application intended.